Life’s hectic undertow can shift in the blink of an eye, with no warning or care. 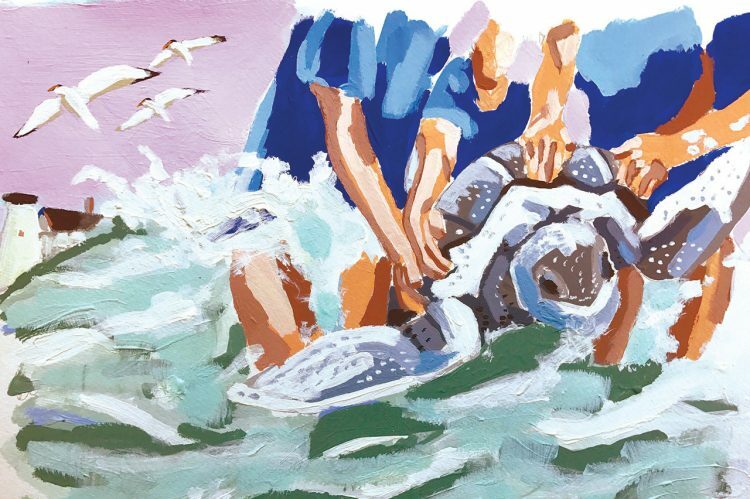 For this alumnus, a rare encounter with a leatherback sea turtle reminded him that when you’re thrown off course, sometimes all you can do is wait for help. – Luke Rein graduated in 2015 with a degree in marine biology. He currently resides in Philadelphia, where he is living a life of passion and service. You can read more about his adventures – including rowing, biology, travel and entrepreneurship – at lukerein.com. Illustration by Kate Waddell ’15. For more of this story, check out The College of Charleston Magazine!